For the death of his 5-month-old son as a result of violent shaking, a Lake Worth man will serve five years in prison after pleading guilty to manslaughter. Initially, defendant had been charged with first-degree murder and faced up to 30 years in prison. Defendant’s wife, the child’s mother, supported defendant and the two even went on to have another child, a daughter, after the death of their son. This may have prompted prosecutors to agree to a plea deal with much lesser prison time than what he could have served. As part of the deal, prosecutors dropped the first-degree murder charge and child abuse charge in exchange for a guilty plea to manslaughter. Even that charge carries a possible prison sentence of up to 15 years. That he had no prior criminal record, authorities say, also factored into the agreement for him to serve less time. Also as part of his agreement, defendant will serve 10 years of probation, complete 100 hours of community service, finish an intensive parenting class, submit to random drug tests, refrain from use of drugs and alcohol and speak twice annually to others about his experience and how the loss has affected him. 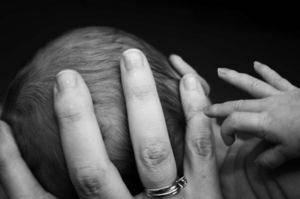 Shaken baby syndrome is a kind of injury that is inflicted on an infant as a result of being shaken violently and repeatedly. It can result in swelling of the brain, internal bleeding, detached retinas (which leads to blindness), mental retardation and death. Understandably, prosecutors are eager to target individuals linked to such a terrible crime against an innocent child. But it’s important to remember a few things about these cases. The first is that most of those accused have no prior criminal record. They are often inexperienced with children, and incidents happen not as a result of some calculated plan to harm the child, but out of a moment’s frustration. It does not take a great deal of force to harm a small baby. Secondly, shaken baby syndrome is often wrongly diagnosed. Doctors attribute certain symptoms that could be connected to other, unrelated problems on caregiver violence when, in fact, that is not true. The diagnoses of Shaken Baby Syndrome has only been around four decades, and it’s essentially given doctors a way to account for unexplained head injuries in babies. Unfortunately, prosecutors can use this diagnosis even when there are no witnesses, no confession and only circumstantial evidence to prove the case. As research on the issue has expanded, it’s been revealed that accidents and certain diseases can also trigger these exact same symptoms in babies. What this means is people are often wrongly pursued for these charges when in fact they are innocent. A recent study of 1,600 shaken baby cases that resulted in murder convictions revealed a few interesting facts. Firstly, those convictions were out of 1,800 cases filed, which means the conviction rate for this crime is far higher than other types of violent crimes. Secondly, about 16 of those have resulted in overturned convictions, including three just in the last year alone. Numerous doctors who previously testified in cases resulting in convictions are now revising their opinions, saying they are no longer sure about the timing or cause of injuries. In four cases, new medical examiners reviewing older cases discovered mistakes by their predecessors who diagnosed shaken baby syndrome. They found other causes for the injuries, including things like strokes suffered in the womb. But even despite the fact the certainty and validity of the diagnosis itself has been called into question, prosecutors are still using it to prove the case beyond a reasonable doubt, the standard necessary to secure a conviction in a criminal case. Overcoming an accusation of Shaken Baby Syndrome will not be easy, even in light of the growing scientific evidence to suggest the margin of error is larger than previously believed. Broward County criminal defense of these cases require the aid of a legal team with extensive experience, knowledge and dedication.